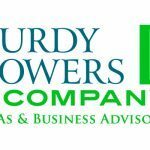 Purdy Powers & Company is an Advanced Certified ProAdvisor full-service firm in Portland, ME. They provide a full range of QuickBooks support, accounting, financial reporting, and CFO services to entrepreneurs, small businesses, and non-profits. Work For Purdy Powers & Company? Claim This Page.